The piece makes clear that Wubbels was protecting the badly burned truck driver whose blood Payne wanted to draw. The article notes that no one was then under arrest and there was no search warrant; the patient was unconscious and could not consent; and there was no allegation that he had been impaired. But the video shows Payne lunging at Wubbels, then handcuffing her and dragging her out to a patrol car. She was never charged with a crime, and City officials later apologized. The editorial argues that unless something unexpected turns up, Payne should lose his job, and that going forward the police must ensure officers are trained in the law relevant to searches and the policies of the health institutions they deal with. The piece concludes by noting the stark contrast between Wubbels and some unknown person an officer might encounter in a dark setting in the field. Wubbels posed no threat to anyone, and it was unconscionable for her to have been treated that way. In too many of the too-frequent cases in which a young person of color has been gunned down by a police officer, someone is usually quick to rifle through the victim’s record in search of even the most minor blemish and seek to justify incidents of police brutality by proclaiming of the victim, ”He was no angel.” People do not have to be angels to be deserving of being treated with respect and within the law. But a nurse in a burn unit, who is trying to do nothing but protect her patients and uphold medical protocol, is an angel. And our police officers should treat her as such. We agree that a nurse trying to protect her patient from an invasive, apparently unlawful search is operating at the core of her responsibilities as a patient advocate and Wubbels deserves great respect for her courage. That is especially so given the power that police have and the seemingly weak support she got from her colleagues. It is a nurse’s job to protect her patients from any potential threat in the care environment, including misguided colleagues. But calling her an “angel” doesn’t convey the respect nursing needs. Instead, it reflects a harmful stereotype—one that encourages people to disregard the real needs of nurses, including their need to be safe from abuse but also their need for adequate staffing, because of a sense that this is what such “angels” sign up for, under a code of feminine virtue. Not incidentally, abuse of nurses is often discounted by hospital administrators, at least when it does not become a viral video that supports a public narrative of police abuse. We doubt the piece would have referred to a physician in Wubbels’s place as an “angel.” Frankly, we doubt that a physician in her place would have been detained at all. But overall the piece shows strong support for Wubbels’s advocacy. Pamela Manson’s report today was “Utah nurse reaches $500,000 settlement in dispute over her arrest for blocking cop from drawing blood from patient.” The piece seems to be based largely on a press conference Wubbels had early on October 31 with her attorney, Karra Porter, who had reportedly been the one to release the footage of the encounter with Payne. This piece apparently reflects what Wubbels and Porter said at the press conference, and it is forward looking. Wubbels will use a portion of the money to help people get body camera footage, at no cost, of incidents involving themselves, she said…. In addition, Porter’s law firm, Christensen & Jensen, will provide for free any legal services necessary to obtain the video. “We all deserve to know the truth and the truth comes when you see the actual raw footage and that’s what happened in my case,” Wubbels said. 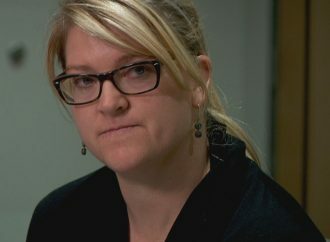 “No matter how truthful I was in telling my story, it was nothing compared to what people saw and the visceral reaction people experienced when watching the footage of the experience that I went through.” Wubbels said she also will make a donation to the Utah Nurses Association and will help spearhead the #EndNurseAbuse campaign by the American Nurses Association. Porter said she hopes the discussion about the need for police body cameras continues and noted that the footage also protects law enforcement officers. The piece gives more background. It says that Wubbels was held in the police car for about 20 minutes before being released, never to be charged. It also notes that the footage shows Wubbels asking a University police officer for help. But the “officer informed the nurse that if she interfered with Payne’s investigation, she would be obstructing justice and he would not prevent the detective from arresting her.” As Payne goes after Wubbels, the University officer actually seems to help him; “other hospital employees appear to try and talk Payne down as the arrest is taking place.” Payne was fired on October 10, after two reviews concluded that he had violated police department policies. The report explains that the patient, William Gray, was a truck driver and part-time reserve officer from Idaho. He later died due to the severe burns he sustained when a pickup truck crashed head-on into his truck. The driver of the pickup, who died at the scene, was fleeing the Utah Highway Patrol. Local police investigating the crash apparently wanted a blood sample from Gray in order to help him. Payne’s attorney had argued that Payne wanted the sample to help Gray keep his commercial driver’s license by showing that he was not impaired. But Porter countered that the relevant rules did not require or permit such a sample to be taken by police without a reasonable suspicion that the person was intoxicated. This piece is helpful primarily for detailing all the pro-active elements of Wubbels’s settlement. Those appear to reflect a genuine effort to protect nurses and their potential patients—the public—from future abuse. 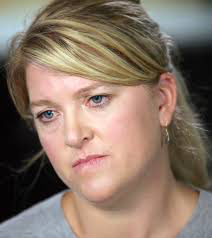 It’s especially commendable that Wubbels would use the attention her experience got to address the broader situation of nurses on the front lines of hospital violence. That specific experience with police is not a common one for nurses, but Wubbels cleverly used it to try to improve the two broader situations that intersected on that day in July: (1) the high level of abuse nurses suffer in hospitals, which tends to be from angry or altered patients and often leads to the same amount of support for the abused nurse as Wubbels got from her University police colleague; and (2) the rate of police abuse of members of the public, whether on the basis of race or simply a person refusing to comply with unjustified official aggression, as Wubbels was doing. And of course, simply pushing into the national media the concept that nurses have independent professional associations supporting them has some value; they are not physician lackeys. This is strong, thoughtful advocacy for nurses and the public.